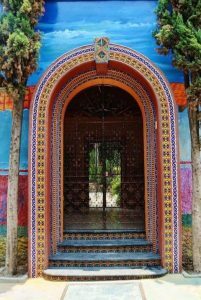 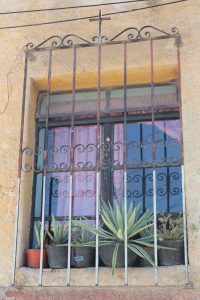 The wrought iron window grilles or Rejas seen around the villages of Lake Chapala and throughout Mexico are both decorative and protective and likely introduced into Mexico by the Spanish. 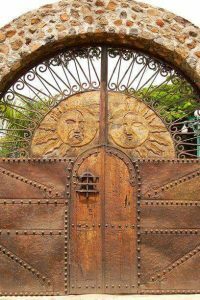 It has been said they were a means of a bachelor being able to see and court the young women in the house without the use of a chaperone. 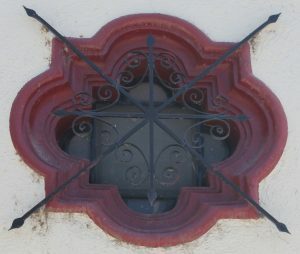 The original rejas would have been made of wood or stone, allowing air to circulate while at the same time keeping out creatures – both animal and human! 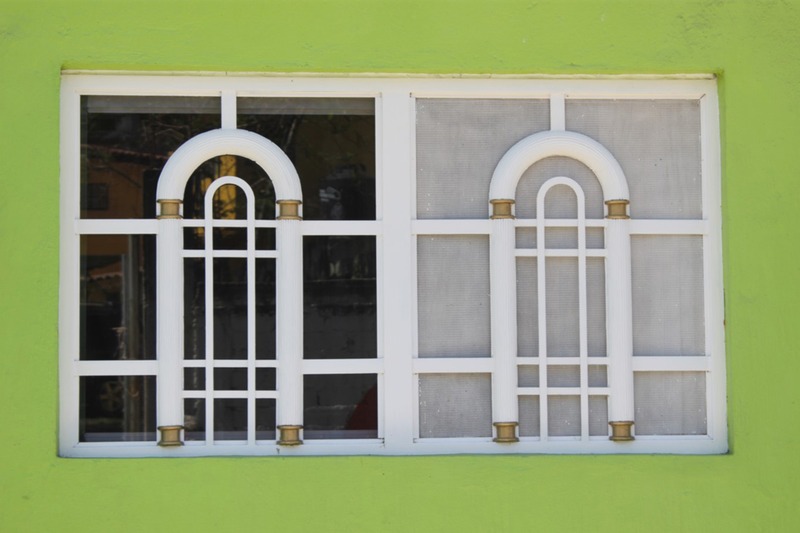 Many of the windows you’ll see around the villages have deep niches which keep out rain and sunlight, helping to keep the house dry and cool inside. 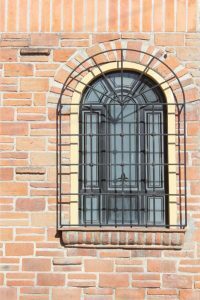 Earlier versions were made of copper, bronze, even silver or gold and were relatively plain or twisted rods with a repeated geometric pattern, either horizontal or vertical. 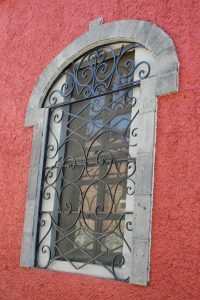 With the introduction of wrought iron in the 18th Century came the more decorative elaborate designs, incorporating scrollwork, curlicues, animal or floral motifs and more intricate geometric shapes. 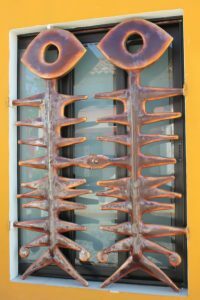 As you walk or drive around the villages you’ll discover many more examples of the fascinating grille work, not only on windows but on doors and gates on every street and around every corner. 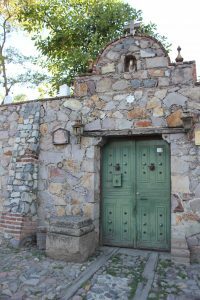 The doors of Ajijic add to the character of the town as they grace the street entrances to the homes behind the walls. 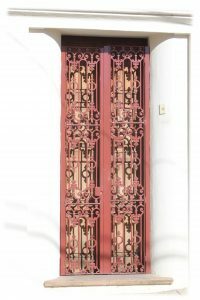 Some have a decorative outer gate or an outer metal door, creating a vestibule or enclosed parking space. 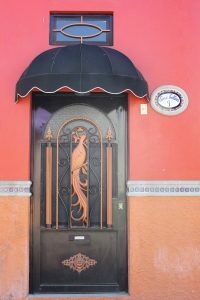 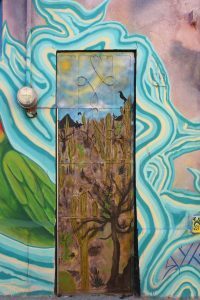 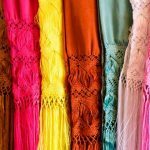 No two doors are the same, often painted bright colours and embellished with details such as rosettes, square panels, nail heads and various other features. 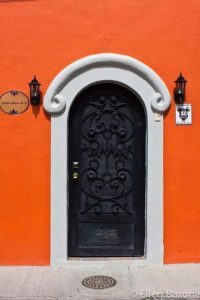 There may be smaller openings in the door such as the “peep door” – a little door at face level, opened only from the inside for the resident to check out the visitor. 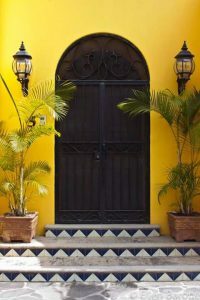 Larger doors, particularly double doors, may have a smaller opening to allow one person at a time to pass through. 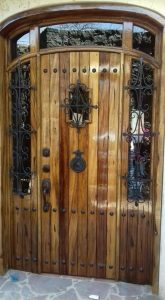 Although some of the doors show their age, most are well preserved. 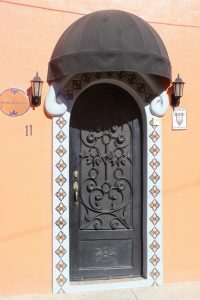 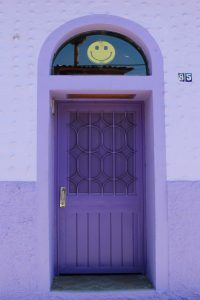 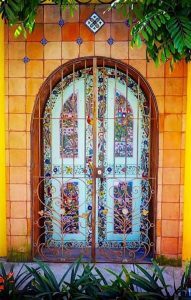 Thankfully, reproductions of these doors are also available to continue the old-world elegance of the original Mexican designs in newer homes thus preserving the village’s tradition and character. 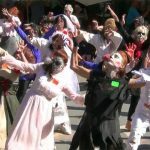 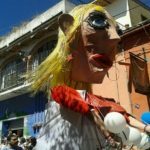 Mardi Gras Parade Zombie Thriller Dance – Ajijic style!